Book groups – what’s yours reading? Like many book lovers I am a member of a book group, two in fact, and I am keen to know how many of my blog readers also are book group members? Book groups are really popular just now with an estimated 50,000 in the UK alone, interestingly with most attracting just women. You can take part in so many ways from a group meeting in your local library or pub, being part of online groups (eg on Mumsnet or GoodReads), reading a book so you can listen to a radio discussion (Radio2 Book Club for example), or joining in on social media such as Twitter or Facebook. The great thing about book groups is that you read books you might never have chosen yourself or books you might not otherwise have come across. Take the book I’m reading now for example, The Immortal Life of Henrietta Lacks. I don’t read very much non-fiction and when I do it tends to be travel books. But I am finding this book fascinating and very readable. I had never heard of Henrietta Lacks and yet she has had a huge influence on modern medicine. She was a young black American woman who died from cervical cancer in the 1950s. Cells from a biopsy of her tumour were grown in a lab and found to be ‘immortal’. They have been dividing ever since, into more cells than Henrietta ever had in her body, and have been used by countless scientists in countless ways. Her cells have been sent into space to study the effects of space travel on human cells, they have been involved in developing vaccines, and have been used for studying how cancer develops and working towards a cure. This book tells of journalist Rebecca Skloot’s investigation into Henrietta’s life, explains what her cells have been used for and reveals how her family knew nothing about the cells. They continued to live in poverty, often unable to afford health insurance, despite the money that her cells have made for pharmaceutical companies ever since. So many ethical questions are raised as you find out about Henrietta. It’s probably not a book I would have picked up but I am really enjoying it. Other books my book groups have read recently which I enjoyed are Us by David Nicholls, The Last Days of Rabbit Hayes by Anna McPartlin, The Miniaturist by Jessie Burton, The Rosie Project by Graeme Simsion and The Magpies by Mark Edwards. Books I haven’t been so keen on include The Goldfinch by Donna Tartt, and the Farm by Tom Rob Smith (and I chose that one!). 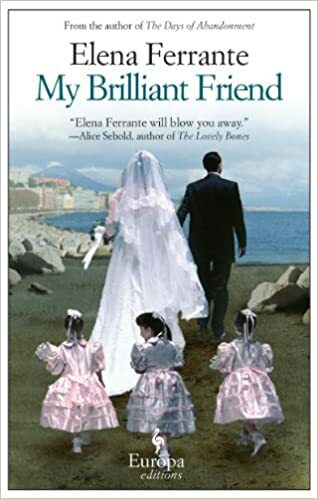 I’m just about to start My Brilliant Friend for my next book group meeting. There is rarely a book that everyone in a book group agrees on and I am often amused to find that books which I have loved, others have hated and vice versa! So tell me, what’s your book group reading just now? What hidden gems have you found? And what did you just not get on with at all? Hi! I am not in a book group, but your post is timely because I have been thinking I would like to join one! – for the simple reason that I love talking to other people abut books! and yes, like you say, the variety of tastes in books is fascinating. When people don’t like something I’ve loved, it’s v interesting to find out why they disliked it!! Lots of the libraries in Edinburgh have book groups Shelley. I used to go to thePortobello library one but the night doesn’t suit any more. Haven’t read either of those! Haven’t read that but have heard good things. Are you enjoying it? Great post! I am a member of a book group, and we do try to vary what we read. Next up is Lamb: The Gospel According to Biff Christ’s Childhood Pal which I’m really looking forward to. The idea of reading groups attracts me simply to have someone to talk about our thoughts on a book. However, I don’t like have a set schedule (like when everyone is expected to read 3 chapters a week or something like that) on my reading or being told what to read. If I am not the one to pick it up of my own free will, it is soooo hard to actually read it all the way through. But that’s just me. I know what you mean, sometimes it can be a bit of a race against time. I read your review of Dark Places – sounded very dark! 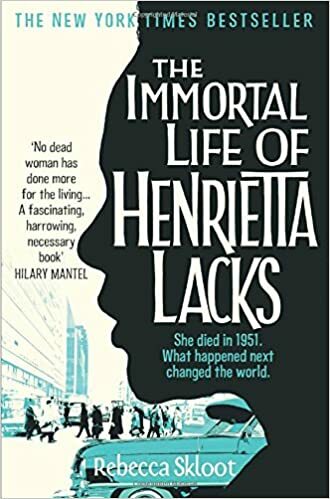 On a side note, I’ve read The Immortal Life of Henrietta Lacks and was surprised that not only is the Lacks family living in poverty, but that the HeLa cells have made billions of dollars and were taken without permission. I saw Skloot at a conference in the U.S. Later, I met one of Henrietta Lack’s family members and his wife at a lecture at St. Mary’s College in Indiana. I made sure I got their autographs; they are an important part of the book, too. Some family members are making a bit of money by doing lectures, and I believe Skloot has a fund for them from her book sales? Thanks for that reply. I’ll look out for your review. That’s amazing that you have met some of the Lacks family and I am glad they are now perhaps making a bit money out of her cells. Not really the cells; more so the fame of Skloot’s book (which means things will or have died down in terms of publicity). They should be millionaires by now if they got some cell money.